: Love. Peace. Respect. + Protection for our Soldiers+ our Flag+ our Country+ our People. 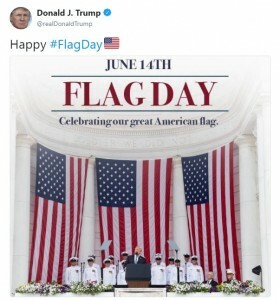 CNN- in case you forgot, it is Flag Day! You know who didn’t forget? President Trump. It’s also his birthday. The President and the American flag are each celebrating another year of life — a throwback Thursday for them both. New York and Pennsylvania were some of the early states to recognize Flag Day celebrations, and private citizens lobbied for a national observance. 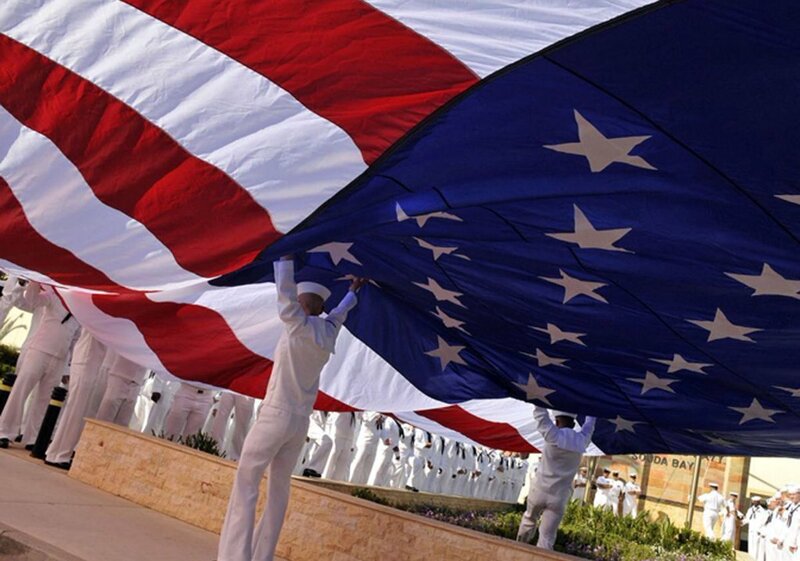 According to the Department of Defense, the “first unofficial national Flag Day” occurred on June 14, 1877. 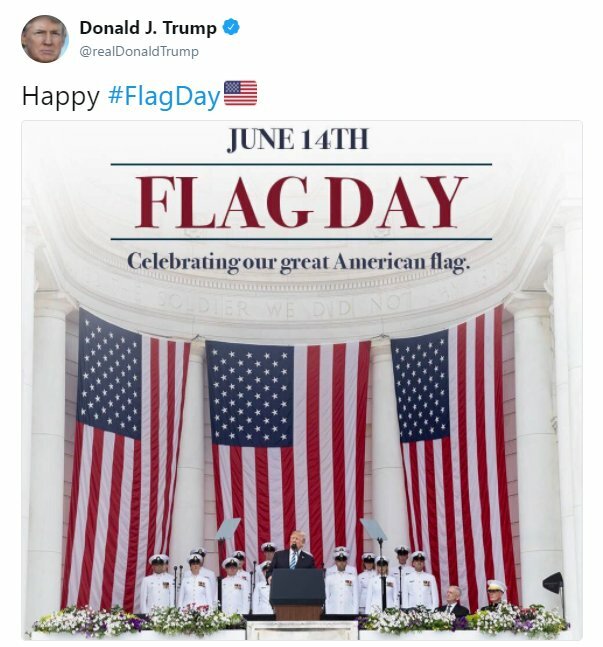 Presidents Woodrow Wilson and Calvin Coolidge eventually issued proclamations asking for the observance of Flag Day nationally. Congress officially approved it in 1949 and President Harry S. Truman signed it into law. Following the hallmark year of 1776, the US got its first official flag. The 13-star flag became associated with Betsy Ross, a rendering of whom you can see above with George Washington. 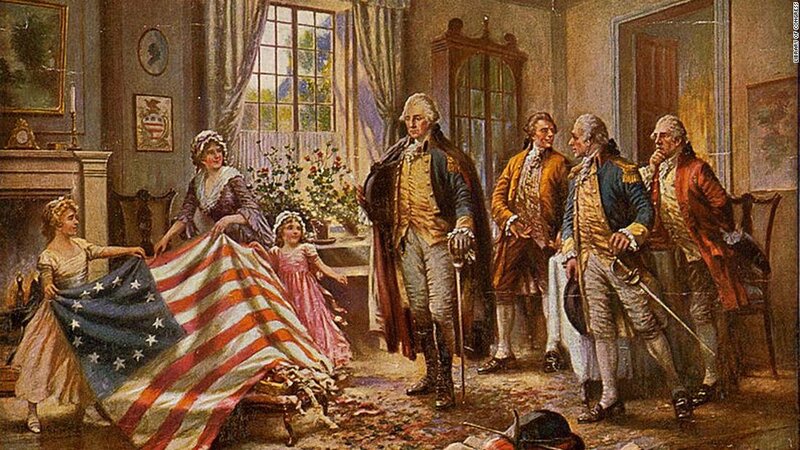 It should be noted that there’s no definitive evidence to show that Ross did in fact create the first iteration of Old Glory, but I’m not going to complain about a woman being featured prominently in the lore of an important moment in American history. The stripes borrowed from the Grand Union flag of the Continental Army, which itself had been inspired by the stripes in the flag of the Sons of Liberty. The 13 stripes continue to pay tribute to the 13 original colonies.